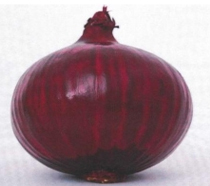 red color skin.-Jumbo bulb size and globe shape. -Tolerant resistance to Pink root. -Excellent product for salad bar. -Good yield for early season. -Tolerancia a Raiz rosada.-Cebolla precoz.